Our newest sheep arrived today. 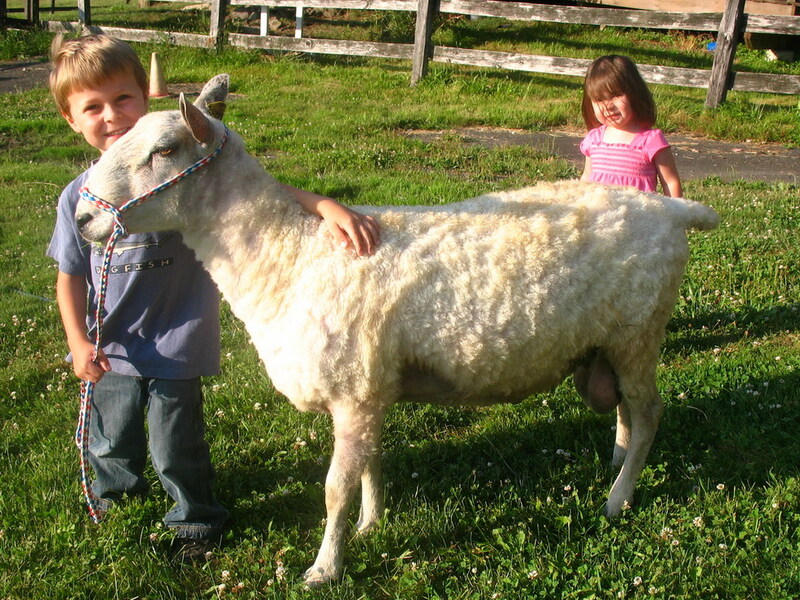 Isaac is a 2 – year old Blue Faced Leicester (BFL) ram and was owned by a friend in my spinning group. She and her husband are moving and had to find homes for their animals so we decided to take Isaac. He’s had an interesting life so far. Apparently his birth wasn’t planned… his mother and father were siblings. Soon after he was born he developed an eye infection that had to be treated daily with ointment for about a month. He’s very gentle and has never produced any lambs even though he’s been housed with ewes his whole life. I wonder if that’s a result of the accidental inbreeding. Anyway, he will have a visit with our vet in September since we aren’t interested in breeding him (and he obviously isn’t interested in breeding either).